Read this ultimate guide to know what to include into your resume and succeed in your job search! Contact details: include your name, contact phone number, and email address. Add your home address only if that’s required by the recruiter. Opening statement: it’s a brief summary of your skills, accomplishments, education, and work experience. Write it in first person and make it no longer than six lines. Key skills: include about 10-15 skills that are relevant to the job you’re seeking. See the list of desirable skills in the job description and add those you possess. It can be the skills you acquired from your previous jobs, studies, work placements, or volunteering experiences. Make sure to add everything you can, but don’t lie! Educational history: include your highest education level, as well as some of the achievements, such as awards, prizes, titles etc. Add courses or professional trainings, if they’re applicable to the job you’re seeking. Employment history: begin with the most recent job and go backwards. Include your title, position, the dates of employment, and responsibilities. If you’ve never worked before, consider adding your school practice, internships, and volunteering experiences. References or referees: add two people who can provide a good recommendation letter about you as an employee. Include these people’s names, titles, and contacts. You can also add a testimonial or two about you from your teacher, colleague, or previous employer. Keywords: carefully read the job description and see what keywords and phrases they’re using. Be sure to add them into your resume, in any of the relevant sections. Don’t provide your personal or private information (such as your birth date, gender, health status, etc, unless this information is required by the recruiter). Check your resume for errors and typos. Do it yourself and ask others (your teacher, former employer, colleague, friend, etc) to help you with that as well. Don’t include photos, images, graphics or tables. 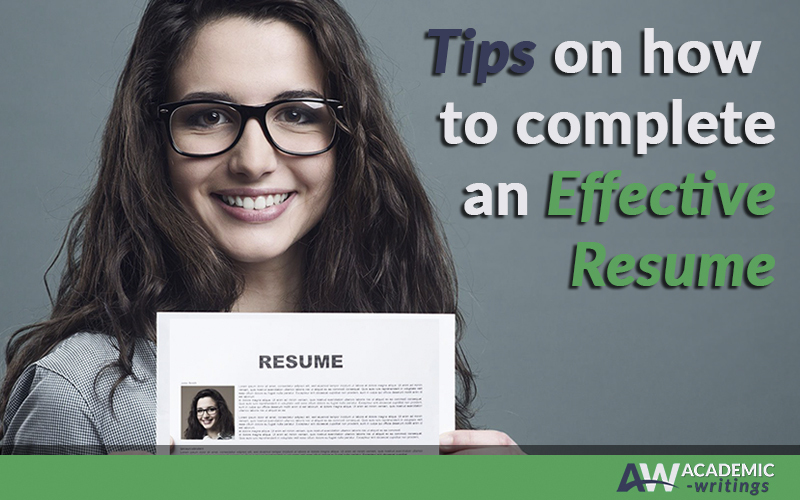 Don’t put any content in the header as it may interfere with the work of recruitment software and leave your resume unnoticed. Use easy-to-read formatting and comprehensible font style (such as Arial, Calibri, Century gothic, or Verdana) and size (10 or 11 point for main content and 12 or 14 point for the headers). Apply these recommendations to create the best resume possible!